DENSO, the world&apos;s second largest mobility supplier, will invest approximately 180 billion yen (US$1.6 billion) over the three years - from FY2018 to late FY2020 - to support its aggressive development and production of electrified automotive products, systems and technologies. DENSO, the world&apos;s second largest mobility supplier, has taken a $5M stake in Seattle-based Airbiquity Inc., a global leader in connected vehicle services and a pioneer in the development of automotive telematics technology. DENSO Corporation has announced changes to its executive management structure and personnel. DENSO Corporation, the world&apos;s second largest mobility supplier, today announced that NSITEXE, Inc., a DENSO Group company that designs and develops semiconductor IP cores, acted as lead investor and has taken a stake in quadric.io, a startup company based in Burlingame, California. DENSO Corporation, announced the status of acquisition of its own shares pursuant to Article 156 of the Corporation Act as applied pursuant to Article 165, Paragraph 3 of the Corporation Act, which was resolved at the board of directors meeting on October 31, 2018. Consolidated revenue totaled 3,979.7 billion yen (US$35.8 billion), a 7.6% increase from the previous year. DENSO Corporation today announced that DENSO Sales Japan Corporation, a subsidiary of DENSO Corporation; DENSO Ten Sales Limited; and DENSO Ten Service Limited, subsidiaries of DENSO Ten Limited will be integrated (merged) into a new company called DENSO Solution Japan Corporation on April 1. The auto industry has been undergoing a once-in-a-century paradigm shift due to electrification, automated driving, and connected driving. To cope with the paradigm shift quickly, DENSO will review its organization to increase its competitiveness. Aisin Seiki Co., Ltd. and DENSO Corporation (DENSO) have formally agreed to form a new company to develop and sell driving modules used for electric vehicles. Aisin Seiki Co., Ltd., ADVICS Co., Ltd., JTEKT Corporation and DENSO Corporation have formally agreed to form a new company to develop integrated control software that will be used for automated driving, vehicle motion control, and other related functions. DENSO Corporation along with some of the startup companies it&apos;s backing, will be showcasing the future of mobility through its latest technology solutions at the Consumer Electronics Show (CES) in Las Vegas, Nevada, North Hall, booth #4619, from January 8-11, 2019. 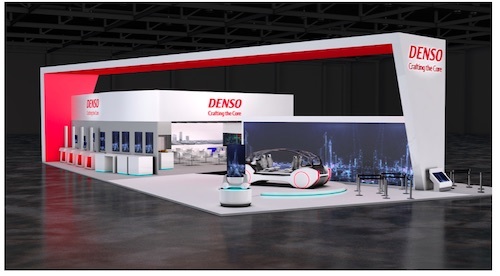 NSITEXE Inc., a next-generation semiconductor IP core design and development subsidiary of DENSO Corporation, will join the 11th AUTOMOTIVE WORLD to be held at Tokyo Big Sight from Wednesday, January 16 to Friday, January 18, 2019. DENSO has invested nearly $100 million over a four-year period in startup companies around the world as part of its long-term vision to provide software-based solutions focused on electrification, automated driving, connectivity and shared economy. DENSO Corporation, the world&apos;s second largest mobility supplier, today announced it has taken a stake in Infineon Technologies AG, one of top manufacturer of in-vehicle semiconductor products, to accelerate the development of technology to achieve next-generation vehicle systems such as automated driving. Global automotive supplier DENSO Corporation today announced its global financial results for the first half ending September 30, 2018 for fiscal year ending March 31, 2019. 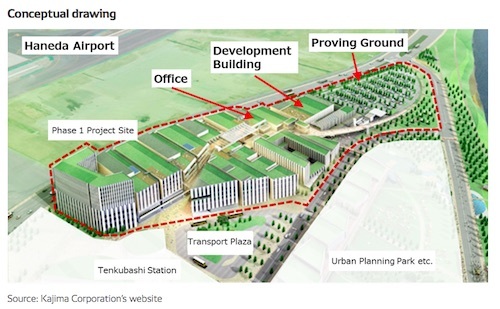 DENSO Corporation (DENSO), the world&apos;s second largest mobility supplier, today announced it will establish a new facility at Haneda Airport in Tokyo to develop and test automated driving technologies. DENSO corporation, the world&apos;s second largest mobility supplier, has made recent changes that represent one of the largest shifts in business strategy in its 70-year history - expanding into software-based solutions in addition to its hardware expertise - that push the company beyond a vehicle-centric focus in order to help create an new mobility paradigm for society. DENSO Corporation today announced it has taken a 2% equity stake in eSOL Co., Ltd., a leading developer of real-time embedded software solutions. DENSO will use eSOL&apos;s technologies to develop software for the systems and products required for automated driving. DENSO Corporation today announced it has agreed to establish a joint venture with NRI Secure Technologies, Ltd. to detect and diagnose the security risks of in-vehicle electronic products. The new cybersecurity company, named NDIAS, Ltd. is equally owned by DENSO and NRI and will be officially established in December 2018. 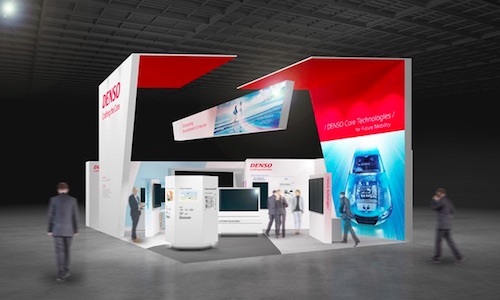 DENSO Corporation today announced that it will exhibit at the 25th ITS World Congress Copenhagen 2018 in Denmark on the theme "DENSO&apos;s Technologies and Efforts to Support the Future System of Mobility." DENSO Corporation today announced that it has agreed with Pioneer Corporation to take a stake in Tohoku Pioneer EG Corporation, which is involved in the factory automation (FA) business and is owned by Tohoku Pioneer Corporation, a consolidated subsidiary of Pioneer Corporation. DENSO Corporation, a $48.1 billion company and one of the world&apos;s largest automotive suppliers of technology and components, continues to search for new ways to support the development of future mobility solutions that will revolutionize how society moves. Asai Nursery, Inc. and DENSO Corporation today announced a joint venture to create a next-generation model for horticulture using large-scale greenhouses and agricultural technology. Aisin Seiki Co., Ltd, ADVICS Co., Ltd., JTEKT Corporation and DENSO Corporation announced that the four companies have reached a basic agreement to establish a joint venture company to develop integrated ECU software for automated driving and vehicle dynamics control. Aisin Seiki Co., Ltd and DENSO Corporation have reached a basic agreement to establish a new joint venture company to develop and sell electrification driving modules. DENSO Corporation today announced it has invested 30 billion yen ($270 million) in JOLED Inc., a developer of printed organic light-emitting diode (OLED) displays. DENSO Corporation, one of the world&apos;s largest suppliers of automotive technology and components, today announced that it will integrate the operations of three of its group companies: DENSO Korea Electronics Corporation, DENSO Korea Automotive Corporation, and DENSO International Korea Corporation. DENSO Corporation has taken a stake in Metawave Corporation, a U.S. startup company that develops cutting-edge, millimeter-wave radar sensing technologies to detect vehicles and pedestrians.